The special theme in this pilot trans-context, trans-cultural, and trans-disciplinary collaborative programme of 2016 is ‘I / WE / THEY’. 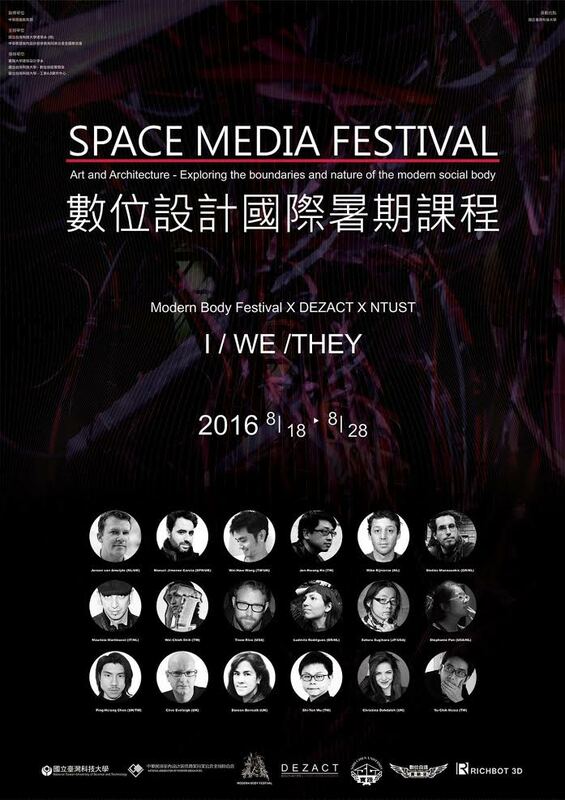 This theme is at the core of both the Space Media Festival taking place in Taipei in 18-28 August 2016 and the Modern Body Festival in The Hague in October/November 2016. At the same time, the collaborative and explorative process led by teams of artist-architect will also span both contexts. The concept of ‘I / WE / THEY’ is thus subjected to diverse forms of engagement between the body, the space and the medium, as well as embedded in specific cultural, social, technical and spatiotemporal conditions. We are exploring the effects of architecture, technology and digital communication, as they are fundamentally transforming the way we exist as a society, culture, species. Our focus is on the social body – identity, space, and community: how we interface with I/WE/THEY. Where do the limits of the self extend and where do the social bodies of group and community begin? How do we understand and position ourselves as individuals, while still feeling a sense of belonging and connection to an expanding global community? How do we exist, identify, and interact? Furthermore, we want to explore the role of architecture and technology as central social interfaces between the I and the world, the I and the group, the I and the self. How do they impact our behavior, confront our habits, alter our experience? 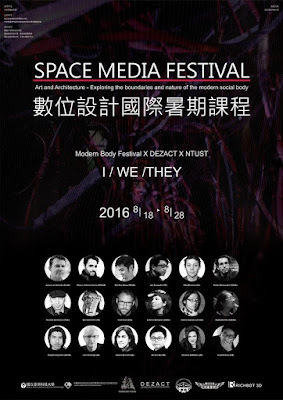 Space Media Festival l Instructor intro from Dezact on Vimeo.